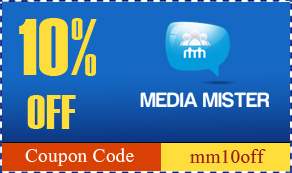 We, at MediaMister.com, have finally decided to offer discount coupon codes to all our regular customers and subscribers. Use the following coupon codes and get a huge discount for all the orders you are placing on our Social Media Marketing web store. 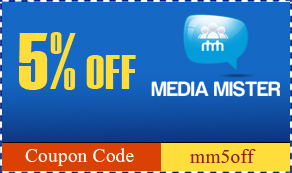 Use the “mm5off” coupon code while placing your order, to get 5% discount on all your orders. Use the “mm10off” coupon code while placing your order, to get 10% discount on all your orders. I tried to buy 1000 targeted followers but the coupon would not work. I really want to buy it but unfortunately it’s not accepting the discount code. Please help and if you can’t please can you let me know and I will look elsewhere.